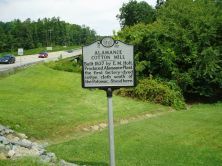 Built 1837 by E. M. Holt. 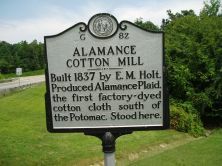 Produced Alamance Plaid, the first factory-dyed cotton cloth south of the Potomac. Stood here.